Find your dream Landscape Planner job? Landscape Planners jobs work with the built and natural environment to plan, design and manage the landscapes in which we live and work. From parks and gardens in urban areas to conservation areas in rural areas, Landscape Planners create healthier and attractive places to live while ensuring that changes to the natural environment are sensitive and sustainable. 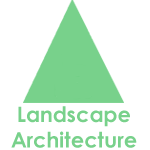 Using our connections with some of London’s top architecture and design studios, we regularly help talented Landscape Planners secure role with some of London’s well-known architecture and design studios. Our job board below displays our up-to-date list of Landscape Planner roles in London. Before applying, please take a look at our Architectural CV Guide for top tips from our expert recruiters to ensure you’re showcasing your skills in the best way. HAUS was set up with the aim of establishing a creative recruitment agency run by consultants from the design industry. This means that each member of our team has a genuine passion for all things design – as well as contacts with London’s most prominent architecture firms – and can offer honest, credible advice on your next career move. Landscape Planners can expect to enjoy an extremely challenging and varied career. You will typically divide your time between office and site work, with core responsibilities including conducting preliminary site studies, writing reports and environmental impact assessments, carrying out environmental impact assessments, presenting proposals to clients and monitoring work on-site. Typically collaborating with Contractors, Architects, Urban Designers, Surveyors and Civil Engineers, excellent communication skills and the ability to interact comfortably with people at all levels are essential skills. An inherent interest for the wellbeing of the natural environment and an understanding of conservation issues are equally important. Good design/drawing skills including computer-aided design (CAD), a creative mindset and a great eye for detail are all highly beneficial qualities. How much do Landscape Planners get paid in the UK? Salaries for Landscape Planners can range from around £25,000 to £34,000 per year, as indicated by our Salary Guide. Designed to help ensure candidates are getting the right wage, the guide provides a handy overview of the average salaries for professionals working across the architectural spectrum in the UK. Sign up to the HAUS website to create alerts of the hottest jobs and bookmark jobs that interest you.